3 months ago I was contacted by ladybug’s geneticist asking if I would mind if her team could present ladybugs case at this years International Congress of Human Genetics and the American Society of Human Genetics meeting. Dr. Li (geneticist) mentioned that these are usually held separately but this year they are combined, “so it will be probably the largest meeting in human genetics ever”. This would be a chance for geneticists from all over the world to learn about and discuss CDG. I didn’t even hesitate to say yes – after all this is exactly the type of attention I want to bring to CDG. The more doctors who know about it, the more diagnosis can be made, the more awareness can be raised, which leads to more funding to find the mutations in the genes and perhaps one day a cure. The best part was that it wasn’t just ladybugs case that would be presented, Dr. Li and her team wanted to combine it with an adorable little boy from England. 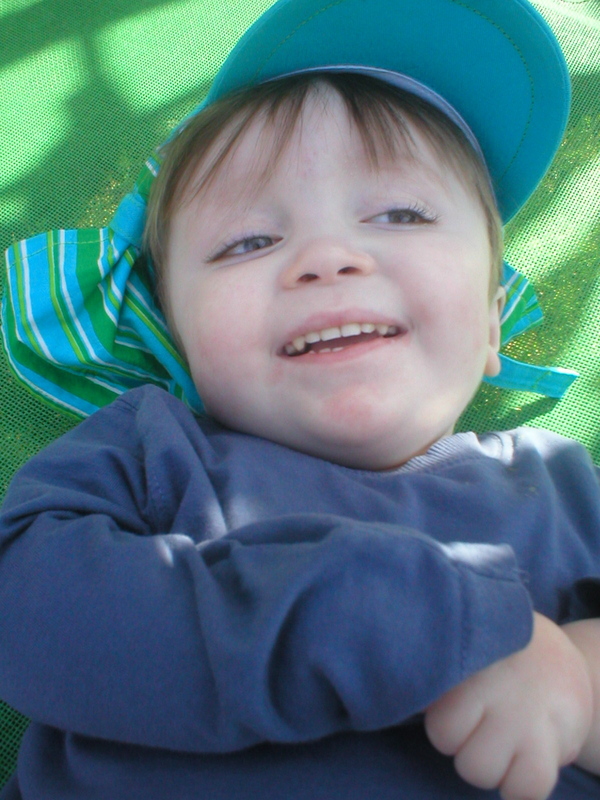 I first came across a picture of this young lad when I was researching CDG before we received a confirmed diagnosis. I was blown away by the similarities between him and my princess. Both have short long bones, feeding difficulties, and even the same cute little button noses. As this past year has gone by I’ve grown quite close to this fabulous family, exchanging gifts and often chatting online about our CDG type IIx wee ones throughout the week. To this day we are still amazed when we look at pictures, and have a very strong feeling that these two beautiful children may have the same undiscovered subtype. We’ve recently found out that the abstract, (in short – a brief summary of the two medical histories) has been approved. Which means that this October geneticists from across the world will gather in Montréal, Canada, and will learn about two very special children and their even more special disorder. Hi! I’m going to the meeting as well. I don’t study CDG (I study FXTAS), but it is inspiring to see that the non-research community will be at this meeting supporting their causes as well. Well done! Hope to see you in Montreal! You have a beautiful daughter! Hi Jocelyn, we were hoping to make it to Montreal for the conference but sadly won’t be able to. Thank you so much for taking the time to check out LittleLadybugHugs and perhaps we’ll see you at the next one.